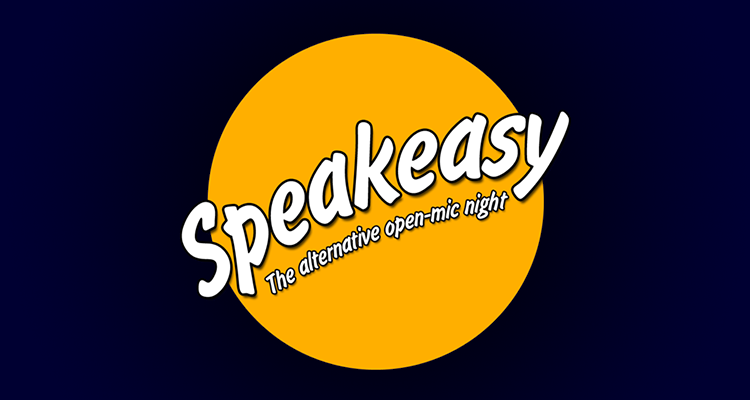 Speakeasy is a friendly and informal group that defies simple categorisation. Each month, we set a theme and then invite people to share any material they wish that the theme brings to mind. It can be poetry, prose, music, anecdotes, magazine articles...Anything they wish as long as it explores some aspect of the theme. You can use the theme as inspiration to write an original piece or two or use the chance to share any material that comes to mind by writers, musicians or publications that you like. Speakeasy is a great place to discover new authors, artists and thinkers! Of course, you don't have to bring anything at all as we use each piece as the jumping off point for lengthy discussions and debates, so you can just come along to throw your two pence into the conversation. We're always eager to see what unique approaches people will take to explore the theme, or the many unpredictable tangents the conversation can take. It's a chance to share some of your favourite music or literature, to be exposed to other material (participants have frequently sought out books or poets after hearing some of their work at Speakeasy), a chance to discuss your views on a variety of different issues and ideas as well as hear completely alternative perspectives. It's also a great avenue for airing your own work in an informal and non-judgemental setting. > Respect whoever is sharing by giving them your full attention - No chatting or playing with your phone! Please note that in the event that less than four people have arrived by 8:45, Speakeasy is cancelled for the evening and the theme saved for a future event. Below is a list of the themes we'll be covering in 2017. You can share anything you like, whether it's your own material or somebody else's, as long as it explores the theme in some way. These themes often directly relate to the Cinevangelist movie screening the preceding/following Sunday, so do come along if you want to explore the theme further.